﻿David lives in Ardfern, Argyll with his wife Carol. 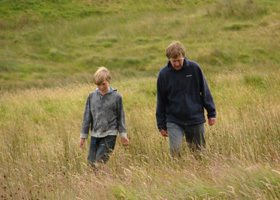 They have two grown up children, Isla and Tom. 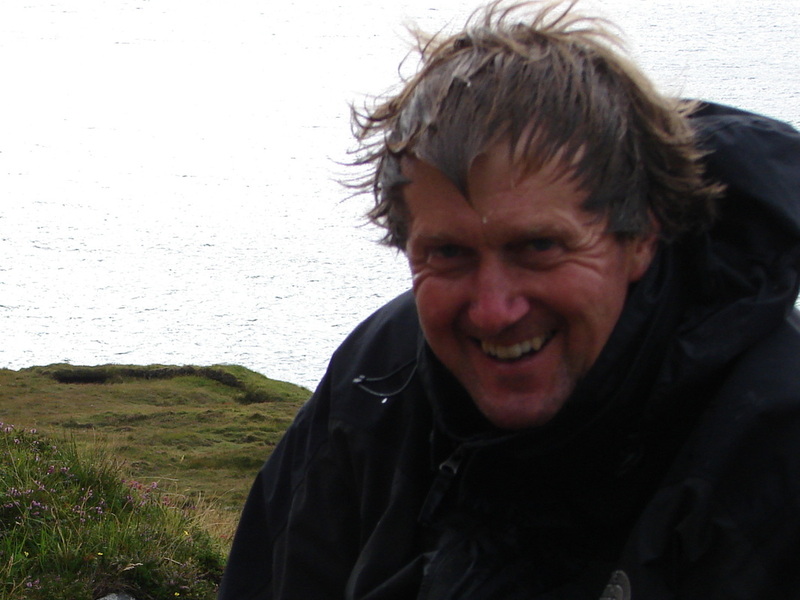 He is self employed as a Chartered Landscape Architect and has his own business, Craignish Design. ​He paints in his spare time. 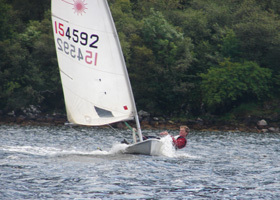 David likes to sail, walk in the hills, enjoy the west coast and spend time working outside at Barfad. 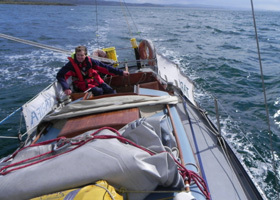 ﻿Having drawn and painted throughout his youth David started selling his drawings and paintings in 1991 when he, Carol and baby Isla were working their way across the Mediterranean on the 36ft steel yacht which was their permanent home. They spent a happy period sailing in the idyllic eastern Mediterranean selling paintings of yachts and tavernas. They sailed and painted their way through Turkey, the Greek islands, Italy and up the French Canals back to Britain. Then real life took hold again and it was back to Landscape Architecture. 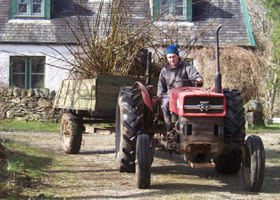 In 1996 David moved to Ardfern with his family, still living aboard. The present of a painting, given to the owner of the Crafty Kitchen in Ardfern, resulted in David being asked to provide paintings for an exhibition; this was the beginning of a number of local exhibitions that led to more and more demand for David Graham Paintings.